Out next week on Thursday, as per usual for eShop games. For anyone who enjoyed the Hotel Dusk games (that should be all of you), this is surely a shoo-in? Whilst I have an eye on it, I disliked Hotel Dusk and haven't played its sequel. It'll take some convincing to get me on board. Perfect first reply - apologies. I'll pick it up when I'm done with Dragon Quest. It's... weird. It feels pretty much like you'd expect an indie-developed Hotel Dusk game to feel. Except they've got rid of the hold-like-a-book thingy and the monochrome style... and the marching around the locale, which was charming in its own way. The pacing so far feels a little rushed. Oh, and there's a notable drop in translation quality as well. I'm more suspicious than I'd like to be at this stage, but I'll press on. It feels very Dusk-esque, at least, in the visuals and music and the one bit of actual gameplay (interrogations) that I've come across thus far. That's a shame. I guess this game kind of proves that part of Hotel Dusk's charm came from its lavish (for the genre) production values and top-tier Treehouse localisation that added a lot embellishments from the game's setting. I started Hotel Dusk last week, having ignored it for nearly ten years(! ), and I'm rather enjoying it. I love how grounded the plot is right now, and how a lot of the twists aren't just thrown in there for shock value but make sense considering the rest of the story. But part of why I really enjoy it is down to almost everything you mention: Book mode, the animated hand-drawn art, the superb localisation and characterisation. 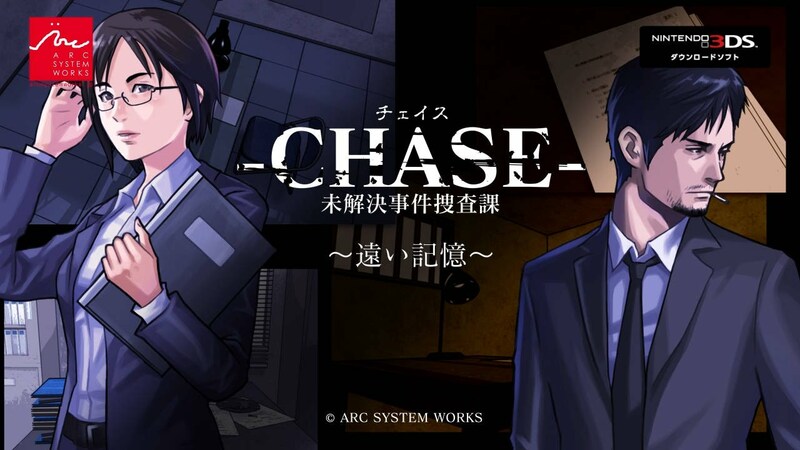 All of that is watered down to some degree in Chase: Cold Investigations it seems. A lower budget sequel without Nintendo's financial backing or expert localisation doesn't sound that appealing to me, but it's symbolic of what's happened to the market: Nintendo didn't want to fund another CiNG game after The Last Window, and this is all we can get right now. You're not wrong, - either in your appraisal of Hotel Dusk, which is the proverbial faeces, or in your appraisal of CCCI, which honestly isn't. It does lack a lot of the charm. I'll probably pass for now, then, thanks! Hotel Dusk is actually my first CiNG adventure game, so I'm in a good place at the moment. Not too sure about Another Code R though, but some enjoyed it. I'm interesting in seeing how The Last Window's NoE-done localisation compares with Hotel Dusk's. Apparently one character says "What are you on about???" at one moment, which seems a bit off-key to me. But I'm sure that's not indicative of the entire script! Just seemed like more of the same to me, which was good. I enjoyed it. Possibly not quite as grand as the original, but there wasn't much of a quality dip, and Kyle Hyde is still Kyle Hyde. Also: cutest Christmas scene in gaming. I do own this... but I'm saving it for a Christmas time Dusk triple bill.